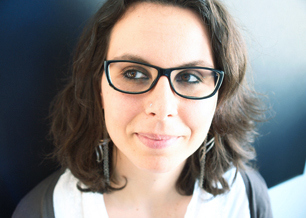 Elisa Straulino received her Master Degree in Experimental Psychology in 2010 from Padova University. Her thesis was entitled “Choice of contact points during reach to grasp movement”. During her post-lauream internship period she was involved in a series of studies investigating multisensory integration between olfaction and vision in patients with traumatic brain injuries and the neural underpinnings of reach-to-grasp movements by means of co-registration techniques (i.e., kinematical and evoked related potentials signals).In April 2012 she started to work as Laboratory Coordinator at NEMO. She coordinates the labs (kinematics, TMS, fMRI) and provides assistance planning activities related to students served by the assigned lab(s). She provides assistance with the daily operations of assigned lab(s) and coordinates staff. She works with faculty, support staff and students to maximize the effectiveness of service provided by the labs. She is responsible for purchasing equipment and scheduling participants to experiments.